Continuing my journey through The 9 Deep Learning Papers You Need to Know About, I read “Very Deep Convolutional Networks For Large-scale Image Recognition”, by Simonyan and Zisserman, 2015. In this paper, the authors conduct an experiment with very simple, deep neural networks. 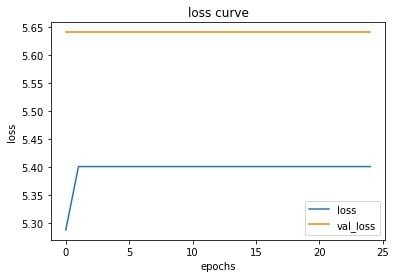 In the AlexNet and ZFNet architectures, the authors use an architecture where the first convolutional network has a larger filter than in the rest of the network. The authors of this paper instead opt to use only 3x3 filters with same padding and a stride of 1. From what I can gather, the authors were able to achieve very competitive results on the ImageNet dataset using this simple and deep architecture for two main reasons. The first is that using small filter sizes and lots of depth imposes regularization. However, it’s important to use 3x3 filters as opposed to 1x1 filters because the slightly larger fields have a “non-trivial receptive field,” meaning that they actually capture what their neighbors are doing. 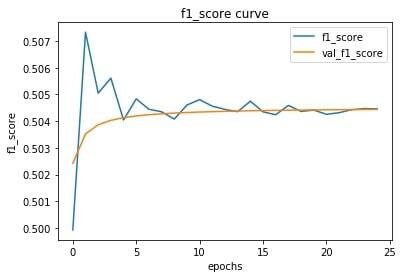 However, the nonlinearity introduced in a 1x1 filter does help somewhat. One thing that was useful for me about reading this paper was to see how they used simplicity in their network to make it easier to do see the results of their depth experiment. While other papers that I have read also conclude that depth in the model is very important, by reducing other factors and really focusing on depth here, and by making great strides in accuracy compared to the benchmark, you get an idea of just how important depth is in CNNs. And simplicity. I recently read a paper in which the researchers were able to achieve up to ~90% sensitivity and specificity using a convolutional neural network. I tried to replicate their research, and I did not do as well. Despite using a similar architecture to the one presented in the paper, my models overfit big time. The one thing I am aware of in their paper that I did not do is downsample my data, largely because I could not parse the method they used to smooth and reduce the size of their data. They linked to another paper for directions on downsampling the ekg data, but I am not a member of an academic institution, so I could not get access. I trained each of these 6 models using a batch size of 50 and a learning rate of 0.001. The models with more than one layer all overfit to the training set. For example, the model with the following parameters reached around 90% accuracy on the training set, but barely better than random on the validation set. The single layer models did not overfit as much. They still overfit though. Here are the parameters and results for the best of these single layer models. Augment my training dataset. I could do that by slicing all of my samples in half again so that they are each 5 seconds long. I could probably do that twice if necessary. So long as I am only using a small portion (.15) of that data for validation, that would more than double the size of my training set for each round of augmentation. I could also horizontally translate my data. Simplify the model. Right now I am using a several-layer deep ineption-module network. I am doing this because I’m not sure what size filters to use or when to use pooling layers. I admit that that is not the most advanced thinking about how to go about model architecture decisions. Add drop out regularization in between the inception modules. According the the AlexNet paper, his reduces “complex co-adaptions” between neurons, “since a neuron cannot rely on the presence of particular other neurons.” (AlexNet paper). I built a framework for training neural networks to detect heart attacks from ECGs. This tool allows you to build models easily and configure a hyper parameter search strategy. I have mostly created this tool for my own explorations, but I have designed it to make it easy for a curious AI beginner like me to use. Building this framework allowed me to merge many of my skills and interests. First and foremost, this project allows me to practice building neural networks using tensorflow and keras. However, in order to train keras models on this dataset, I had to first get the ECG data. I got the data from a public database of digitized ECG signals. Unfortunately, these digitized ECGs are very different than those that you might have taken in an ambulance or a hospital. In addition to the fact that those are usually printed on a piece of paper, there’s the fact that this dataset has 1000 samples per second, whereas the typical EKG machine samples at 40 Hz. But this is the only publicly available data I could find, so I went with it. As soon as I started training on that data, I ran into time and memory issues on my Mac. The models took to long to train and required too much memory. So I learned how to configure a Google Cloud Compute instance with a GPU. This last task required re-learning how to use Docker. The Keras faq says that Keras automatically works if you have a GPU attached to your instance. I took this to mean that all I had to do was start a Google Cloud Compute instance with a GPU attached as specified in the Google Cloud Compute docs, but it turns out there is some GPU software that you need to have installed on your instance in order to have Keras automatically use your GPU. I tried following this blog post, but it was taking forever to copy the nvidia sofware around in the Starbucks where I was working, and I couldn’t imagine doing that every time that I want to start one of these instances (I turn my instance off when I am not using it). It turned out that using these instructions from Nvidia on how to create a GCP instance with a GPU and all the right software for deep learning are pretty easy to follow. Then I found that tensorflow provides a docker image that allows you to use a gpu provided you have the nvidia software installed, and it was a cinch to get up and running. The most recent model that I’ve worked on is stored in `models/simple_inception.py`. It is based on the work in this paper, where the authors used a single-layer inception module. I am currently experimenting with different numbers of filters and inception modules. I want to make a music discovery tool that helps you find songs that you *love* not just songs that you like. In my quest for that tool, I decided to rely on the fact that I generally discovery my favorite music through my friends--not through musical similarity to songs that I already listen to. I went with this path, because I don't have a prototypical type of music that I like. I like some music from many different genres. I'm not sure how to pinpoint the features of music that tend to make me like it. One thing I do know though, is that if a lot of people who's musical opinions I trust are listening to a track, it's worth at least giving it a listen myself. In order to make an algorithm that replicates this process, you really need three ingredients. 1. You need to know what kind of music you like. What is the input to this algorithm? 2. You have to know what your friends are listening to. 3. You have to know which of your friends are the best authorities on music. Since I have been a user of spotify since they first came out in America, and since they have pretty good programming interface for looking up information about songs, (which I've used in a different attempt at a music recommendation algorithm), I decided to try to base my algorithm on spotify data. Store all desired listening/playlists data for a user (call that user "user0"). Visit the "following" tab for user0. For each user that user0 follows, store a link between those two users. Add the user id of each user that user0 follows to a queue. For each user in the queue, perform steps 1-4. Stop adding users to the queue once they have a specified distance (i.e. number of links from) user0. In my case, I did not collect any users that were further than 2 links away from the first user, because it would have taken thousands of years or hundreds of dollars in order to deal with that much data. The final question for this iteration of my music recommendation algorithm is, given the data set acquired above, how do I get a machine to make recommendations? The algorithm should basically look at what people are listening to, look at what you listen to, and find the set of songs that cooccur most often with songs that you don't listen to in the libraries of your friends. In a later version of this algorithm, I will take into account the "authority" of recommendations by different users in the network, but for this simple implementation I did not bother. The recommendation algorithm used a strategy called "bipartite projection." A network where there are two types of entities (in this case, "users" and "tracks") and the only links in the network are between entities of different types is called a "bipartite graph". The idea of bipartite projection is to compress the link information of the whole network onto one of the sets of entities. In this case, I projected the network on to the track set by making a stronger link between tracks if they are liked by many users and a weaker link if they do not have a lot of listeners in common. If the user likes both track i and track j, the score for the track increases in inverse proportion to the amount of tracks that a user likes. So if a user doesn't like very many tracks, his vote is worth slightly more than somebody who likes a lot of tracks. What this calculation ultimately creates is a matrix where each entry tells you, "if every track starts with some amount of 'recommendation capacity', the entry in the matrix tells you the fraction of that capacity to be allocated to the other track. In order to take into account a users's authority, I will modify the recommendation capacity, but for this implementation, I simply set it to 1 for everybody. Initialize a score of 0. Increase the score by the sum of recommendation capacity allocated from each track in the overall network by looking up the coordinates of both tracks in the similarity matrix. Return the top n tracks with the highest scores. In my initial test, this algorithm works pretty well, but it's a little slow. You can't build the whole matrix in memory using the algorithm that I implemented. The recommendations are good though. The character of the tracks is pretty well preserved. A list of rock songs will yield mostly rock. A list of rap songs will return a bunch of mostly rap. The songs that are recommended are new. The next thing I would like to do is run this algorithm based on top 100 songs for each user. Spotify created a "Top 100 songs of 2016" for every user, but in order to get those songs, I will have to make a website and convince people to let me scrape their spotify libraries. Just a thought that keeps occurring to me: recommendation systems for things like music and movies would be much more effective if they were more explicit in their data gathering. Collective filtering is amazing and incredibly powerful, and there are incredible ways to make recommendations based on the features of an item on its own--without even considering what other similar people like. Unfortunately consumers have absolutely no access to the parameters that control their recommendation systems. When I use Netflix for example, I often find something that I will like eventually, but at no point does Netflix ask me to participate explicitly in my own recommendation process. I don't rate the movies that I watch, and I think most people don't, because I don't think they realize that the machine learning algorithms in place to help them find movies that they will love depend quite a bit on their input. As another example, when I use Spotify radio, my mood changes during the hour or so that I am listening to the radio. The station is not designed to change with time in a way that reflects my mood, but rather to basically degrade as I start vetoing songs that I am tired of hearing. If there were a way for me to, say, move a slider that corresponds to the "songs with higher energy" data field that no doubt is being used in the algorithm that is governing my music listening, I think I would be able to help myself and Spotify out in generating better personal recommendations for myself. I recently came to the conclusion that the maker movement is not a passing nerd fad. It is the stirring of a revolution in the same way that hobbyistic interest in computers marked the stirring of a revolution on the 1980s. To really hammer in the parallel for myself, I keep thinking back to the scenes at the beginning of Steve Jobs, by Walter Isaacson, in which Wozniak is portrayed as this freak genius for having built a computer from scratch. I don’t doubt for a second that he was a complete genius, but I just want to note that he was a member of a club in which people built computers and traded secrets. Granted, Wozniak’s computer was much better than everyone else’s, but the fact that he did not up and invent a personal computer from scratch is important. The PC came from a hobbyistic movement much like the one I am a part of. I think of that early computer scene when I am at Artisan’s Asylum, my local makerspace, and I see all of the 3D printers that everyone has been built or is at least tweaking. Some of these printers have been built pretty much from scratch--not because these people are freak geniuses but because the information is flowing very freely. This is the kind of environment where really useable personal fabricators--more user-friendly, versatile, faster--are going to arise, just as personal computers did. Rather than thinking of the maker movement as a bunch of amateurs interested in personal fabrication, as Neil Gershenfeld, the founder for the Center For Bits And Atoms at MIT describes them, I like to think of the maker movement as a kind of academic science research. Sure, most people get interested in the maker movement because they want to build something with “a market of one,” as Mr. Gershenfeld says. For example, here are three articles about how to make your own 3D printer. Arduino Controlled 3D printer/CNC mill combo - This is pretty much the ultimate maker movement project. These are thorough walkthroughs that tell you exactly how to do something incredibly complicated. (Unlike most science journals though, this knowledge is completely free). What is the point of posting these articles? And more importantly, what would be the point of reading them? I believe that the object is not just to make a 3D printer or explain how to make them; I believe that these articles are fundamental research and calls for improvement, and I believe the makers who make these fabricators are seeking to understand the fundamental principles of 3D printing and innovate. This free, open sourced research, I hope, is a revolution not just in personal fabrication, but in how much of science is done. The reason I think it is such a big deal that people are independently improving the design is that this so strongly reflects the revolution in computers, and if this revolution continues, my 60 year old mom will be 3D printing (and milling, and using other forms of fabrication) before long. I 3D Printed a Sink. What Simple Solutions Can You Print? I didn't exactly 3D-print the whole sink. I 3D-printed a part that enabled me to combine two parts in order to make one--a damned good one in fact. Let me explain, because the story of one of my first 3D-print jobs is a case in point example of personal fabrication and why 3D printing is awesome. The Goodword Alchemy R + D lab is based out of a at the end of a hall in gigantic warehouse in Somerville, MA, where, until recently, there was no running water. As we are working on a couple of chemistry-related projects there, we needed to set up a simple sink that would last us at least until we got the water all set up. We had some tubing and some of those three pronged chemistry clamps lying around, so we figured we could make a sink using those parts. We bought a 5-gallon water jug and figured we could siphon water out it using the tubing, and we figured we could use the chemistry clamp to cut off the flow through tube when we wanted to turn off the water. It turned out that the chemistry clamp did not work at all for this. It simply bent the tube, but it did not stop the flow of water at all. So we tried rubber banding a square piece of wood into the clamp to provide a flat surface against which to close off the tube. It broke. the original sink setup with steel backing in clamp--before 3D printed part. Next, we tried a piece of steel, which didn’t work either because tube kept moving around whenever we clamped and unclamped it. When we tried attaching the rubber band to the steel, but the amount of rubber bands it took to hold everything in place it cut off the flow of water to the tube. What you see here is a part that I designed in about 20 minutes using Solidworks. It took about 2 hours to print out this part. the idea is that the two arms fit over the prongs on the 3-way clamp. The tube fits perfectly through the hole, and the slit in the tube hole is for the third prong to close off the tube. What really amazed me, (and what ought to impress you about the power of 3D printing) was how quickly we moved from a simple, but somewhat crazy invention to the physical incarnation of that object--infinitely reproducible (if anyone else were to find themselves in the ridiculous waterless situation we were in).